Many people know James as the talented Television chef he is. Him and his team work tirelessly in various restaurants around the UK and our client, Manchester 235, a centrally based popular casino in Manchester is lucky enough to have one of James’s restaurants on site. 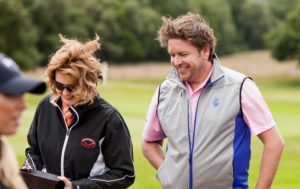 What people may not know about James is that he is a supporter for Breast cancer Care and is also a good and keen golfer. I was asked to run a golf day from start to finish for the discerning clientele of this casino. Open to all golfers and being hosted at the Manchester Golf Club, a mature parkland golf course not far from central Manchester, the day consisted of 18 holes of golf, games during the golf round and transfers to and from central Manchester, plus and assortment of food offerings during the day. 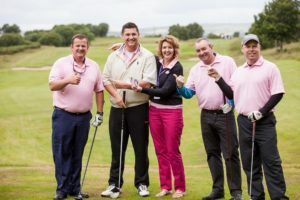 All participants wore pink golf polo shirts in support of Breast Cancer Care who benefitted from almost £2,000 of charity fund raising. 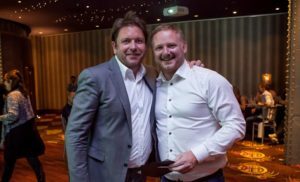 The day culminated in a delicious meal back at M235 private room being treated to the best James and his amazing team can offer, some fun after dinner games and prizes giving before retiring to the bar.